A feature of the HubSpot Sales Chrome extension, contact profiles is a collapsable sidebar in your Gmail account where you can access contact information from your HubSpot account. On the right side of your Gmail inbox, click the sprocket iconsprocket. Your contact profile will load in a sidebar. To search for a particular contact by name or email address, type the name or email in the search bar. Click the contact's name. Their HubSpot contact record will then load in the sidebar. Alternatively, you can use your saved filters from HubSpot to search your contacts in the contact profiles sidebar. Click the All contacts dropdown menu, then select a saved filter. 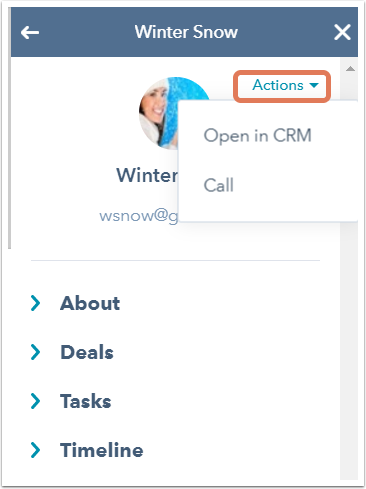 When you click a contact's name in the sidebar, you'll see more information on the contact pulled from your HubSpot account, including the contact's About section, deals, tasks, and timeline. 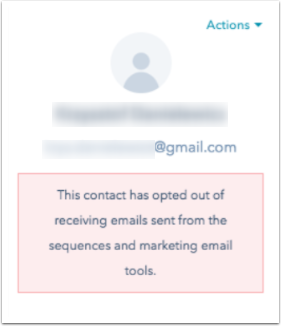 Additionally, if a contact has unsubscribed from your emails, you'll see a message below their email address. 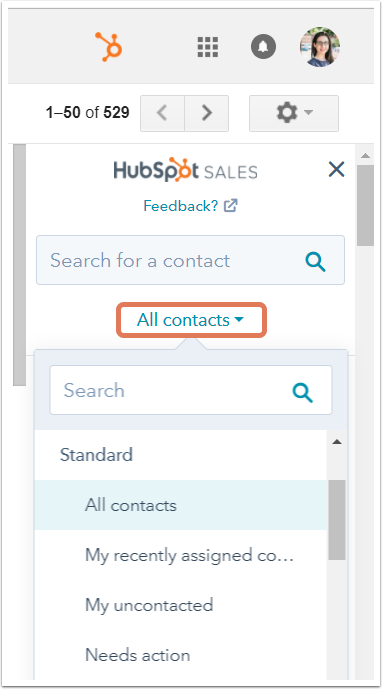 After searching for a particular contact and clicking the name to see more information, you can edit the contact's properties from the contact profile; this information will be saved in the HubSpot contact record as well. On the right side of your Gmail inbox, click the sprocket icon sprocket to open the contact profile. Click About. The properties listed here are the ones specified as default in your HubSpot account. Hover over the contact property, then click the pencil icon edit. Enter a new value for the property, then click Save. 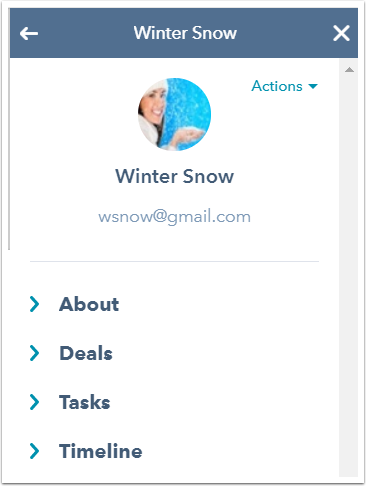 You can create a task that will be associated with the contact directly from the contact profile. In the contact profile, click Tasks. Enter the task name and select a due date for the task. The task will be saved in the contact profile under the contact's Tasks section. 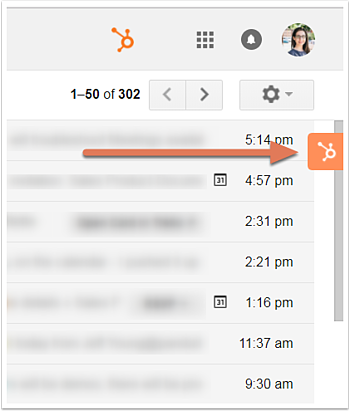 It will also be saved in HubSpot under Tasks in your main navigation menu, as well as on the contact's timeline. 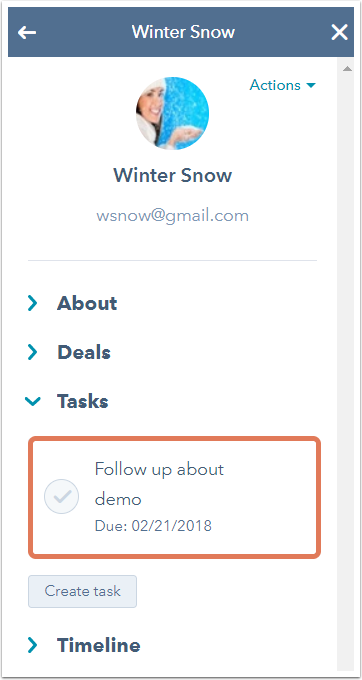 While you can search your database and edit contacts right from your inbox, you may wish to jump to the contact record in HubSpot to see additional information. In the upper right, click the Actions dropdown menu, then select Open in CRM. You can also select Call. 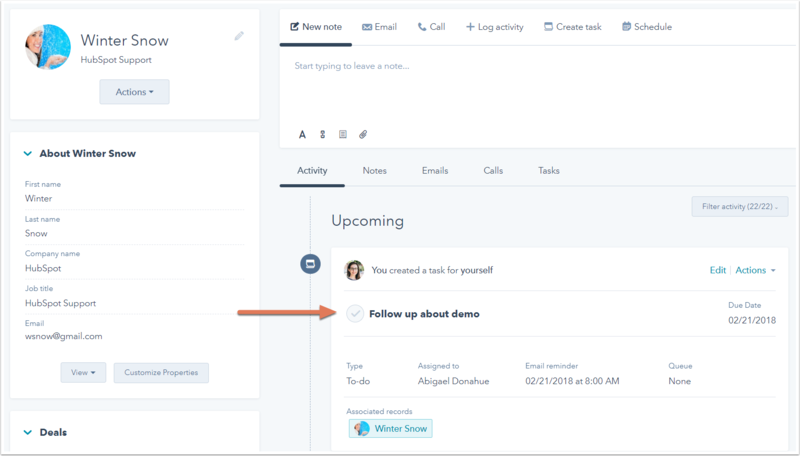 You'll be brought to the contact's record in HubSpot, and the Call tab above the timeline will be automatically selected, where you can choose to start a call with the contact. 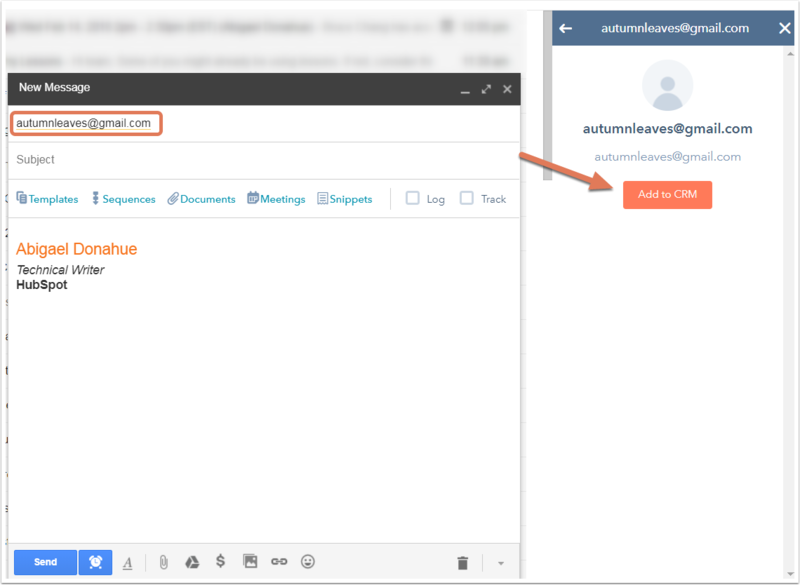 When emailing someone who isn't in your HubSpot contact database, in the contact profile, click Add to CRM to add the contact to your HubSpot account. After adding them, you can edit their contact properties from the sidebar without leaving your Gmail account. If you are consistently seeing a login message in the right sidebar of Gmail when you attempt to view contact profiles, you may need to make changes to your browser and inbox settings. 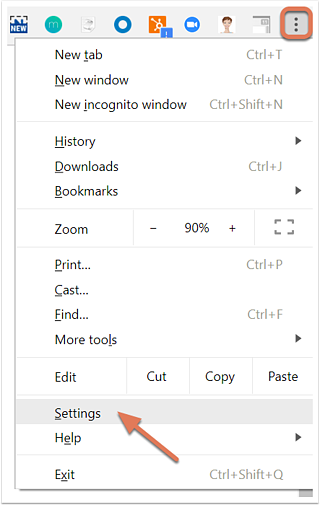 In the upper right corner of your Chrome browser, click the Settings menu (three dots or three horizontal lines), then select Settings. In the Privacy and security section, click Content Settings > Cookies. Ensure that the Block third-party cookies setting is toggled off. Your changes will be saved automatically. If you are unable to toggle the Block third-party cookies switch off, click Add in the Allow section and add [*. ]getsidekick.com, [*. ].hubspot.com, and [*. ]hsappstatic.net to explicitly allow them. Click the gear icon, then select Settings. Search for Preview Pane and disable the feature. If you're still having trouble loading your contact profiles, disable any other Labs features. Learn more about troubleshooting the HubSpot Sales Chrome extension.